Are you finding a machine to mulch plants or tree branches? 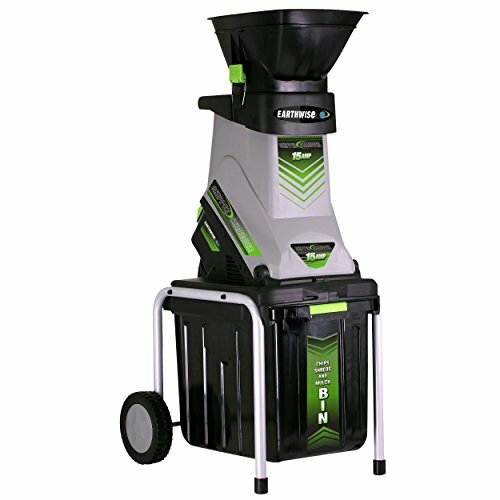 Here a list of best wood chipper shredders or wood chippers for you to consider in a minute. Anyone at any time can require a wood chipper. Whether you’re looking to take care of backyard garden waste, or you own a business, you will find a chipper can come in handy. However, as there are so many different chippers on the market, it can be challenging to determine which is going to be most suitable for your requirements. If you’re a homeowner with minimal garden waste, you may find that an electric or battery powered chipper can be all that you require. Typically, they can take care of small branches and twigs, creating bark chips that you can then distribute back onto your garden. Some also come with a shredder or mulcher function as well, making it easier to bag up for removal. If you’re a business owner, a farmer, or have a lot of garden waste to remove, a wood chipper powered by gas might be a better option for you. These typically have more grunt, can chip large branches, and can also shred and mulch as well. Once you’ve established your needs, you can then set about checking out these top-rated options below. If you like to dabble in a little gardening and yard clearing, then you will at some stage require a wood chipper. However, rather than go out and buy a sizeable gas-powered chipper with a significant amount of power, a smaller and more compact chipper might be all you require. This one from Sun Joe might tick all the boxes for your needs. It’s affordable, meaning more homeowners can afford to buy one, and it’s suitable for small yards in need of a quick clean up. You can pick up a range of branches and twigs, put them into the chipper, then benefit from the resultant garden mulch that comes out the other side. 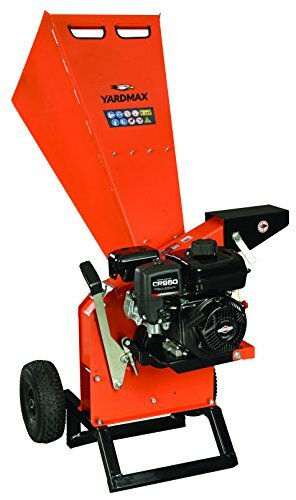 To chip and shred your garden waste, this wood chipper uses a powerful and robust 15-amp motor. It can tackle branches up to one-and-half-inches thick, before making short work of preparing it for garden mulch. Aside from its undeniable power, this wood chipper is also very convenient for homeowners. It’s very compact, comes on six-inch wheels to make it portable, and comes with a two-year warranty for peace of mind as well. Any homeowner will be more than happy with how well this chipper can deliver. 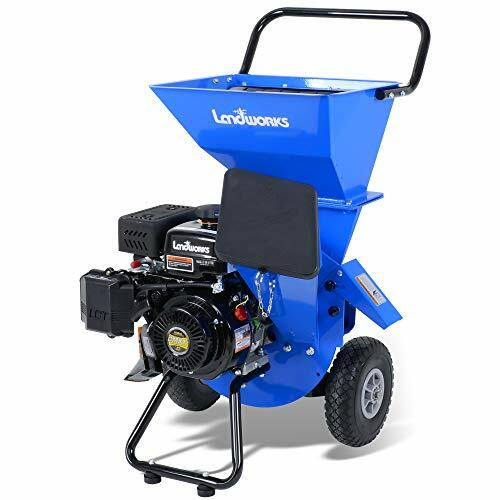 If you have a small garden, but it’s overrun by twigs, branches, and general garden waste, it might be time to purchase this wood chipper and shredder from LawnMaster. Designed to cater to the homeowner with a small patch of land, you will be impressed by all the features this machine has to offer. It’s electric powered, which means you don’t have to worry about the hassle of oils and fuels, and it’s safe for the environment too. It runs on a 15-amp motor which tackles all manner of branches and twigs. While it can’t shred or chip bamboo, it can handle softwood up to one-and-a-half inches in diameter, and hardwood slightly smaller. Whether you have spruce, pine, oak, or beech branches to shred, you will find this electrically powered chipper can deliver. Aside from its power, there is also a lot else to love about this chipper. It comes with a collection bag to make removal of the shredded wood a breeze, and you can also use it to prepare garden mulch as well. It offers a ratio of 10:1 for mulch and makes the entire process seamless. When it comes time to pack the chipper away, the eight-inch wheels will come in handy. Wheel the chipper into your garden shed and forget about it until next time. 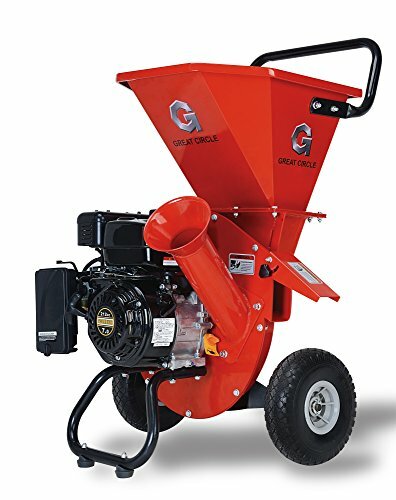 If an electrical-powered wood chipper is not enough to tackle your large yard, then this gas-powered alternative from GreatCircle Machinery might be. As a three-in-one unit, it’s versatile enough to carry out a range of backyard tasks, while also being affordable enough for the average homeowner. There’s nothing you won’t love about this machine. It comes with a top hopper if you intend on shredding and chipping a lot of wood at a time, as well as a side chute for smaller branches as well. What’s more, it also comes equipped with an inlet for the shredding of leaves as well. There’s very little this wood chipper can’t tackle. Because of its powerful 212cc engine, it’s able to handle wood up to three inches in diameter without a problem, as well as various other wood items as well. The engine is CARB and EPA3 certified, it comes with a three-year warranty, and it’s packed full of power and convenient features to see you tackle your yard clearing duties with gusto. If you’re an avid gardener with an eye for detail, then adding a wood chipper to your garden shed is a must. 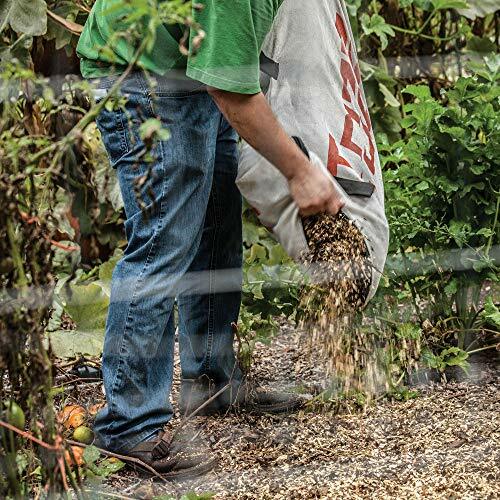 Not only can this one from Snow Joe help your yard look spick and span, but it can also help you to turn previously unusable garden waste into mulch that’s rich in nutrients. Rather than throw it in the trash can, those leaves and twigs can become useful once more. One of the standout features of this chipper is its engine. As it’s electric, you can rest assured it will require minimal maintenance. It’s eco-friendly, releases no emissions, and doesn’t need you to deal with the hassle of fuels and oils as well. Portability is even taken care of as well. This chipper has seven-inch wheels to make it easy to wheel from one area to the next, then back to your garden shed. If you’re not confident with outdoor machinery, you can also rest assured this one has you covered. It features a safety hopper and a locking knob – both which prevent the motor from running when the hopper is open. This chipper is the perfect accompaniment to many people’s garden sheds. If you’re tired of buying low-quality outdoor power tools that keep breaking down, it might be time to upgrade to this wood chipper from Tazz. Rather than spend thousands of dollars replacing your shredders and various tools over time, you can instead rely on this one to last the distance. It comes with a five-year warranty for all manufacturers faults, has a tough and robust 301cc Viper engine that will provide no end of power, and is suitable for both small and large yard clearing tasks. You are sure to find this wood chipper is all you need and more. With its vacuum kit and expansive rotor, you can also rely on this wood chipper to produce more vacuum power than most other chippers on the market. While it’s compact, it packs a punch. However, aside from its power, there is also a lot of convenient features packed into this chipper. It comes with a debris bag you can unzip from the bottom for easy deposit, as well as a lock bag and connector. What’s more, the 11-inch wheels are durable, won’t go flat, and make portability from one job site to the next a breeze. You are sure to find this wood chipper from Tazz is a standout against its competition. Whether you’re a homeowner, a farmer, or a professional, you will soon find that this wood chipper from Powerhorse will cater to all your needs well. Not only is it affordable, given its substantial gas engine and feature list, but it will provide years of faithful chipping service. It comes with a robust 420cc gas engine, a cast iron sleeve to further reiterate its longevity, as well as engine protection in the form of a low-oil shutdown function. There’s so much to love packed into one small engine. What’s more, this wood chipper is multi-functional. You can use it to either chip or shred branches – both of which will be suitable for the garden. Then, when you no longer require it, you can use its built-in handle with 13-inch pneumatic tires to transport it back to the garden shed. Take care of garden waste with confidence thanks to this wood chipper and shredder combination from Powerhorse. With the changing of seasons, it’s not uncommon for homeowners to require a wood chipper. After all, how else are you supposed to dispose of the many hundreds of sticks and branches, and the endless leaves? If your yard is looking a little worse for wear, but your garden could benefit from a pick-me-up, then this wood chipper is the answer. Manufactured by Eco-Shredder, it’s a chipper, shredder, and mulcher, all in one. 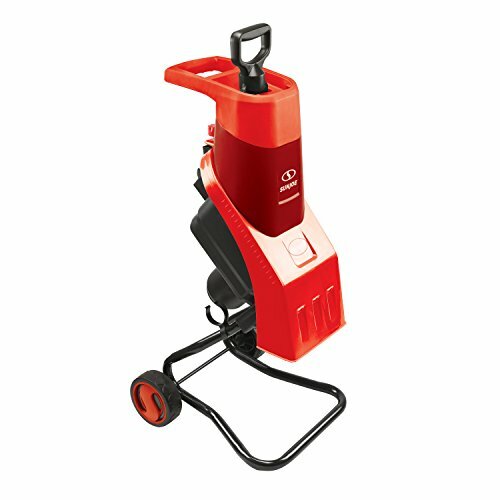 With a powerful 14-amp motor, it can take care of brush, leaves, chips, and limbs, as long as they are all under 1.3 inches in diameter. Even if you’re not skilled in the use of outdoor power equipment, you will find this wood chipper is easy to use as well. Plug it in, turn it on, insert the wood and leaves and let the triple action cutting blades get to work. You can then remove the waste and scatter it over your garden. It even comes with extra cutting blades for user convenience, as well as being exceptionally portable and easy to store. Everything about this wood chipper is designed to be convenient for the user. There’s every reason to add it to your shopping list today. If you’re a farmer or own a lifestyle block, there’s every possibility you will require a wood chipper at some stage. After all, trees are often abundant on any agricultural block, and keeping them in check can take a lot of hard work. However, if you own a wood chipper such as this nine horsepower one from YardBeast, you will find the job goes far more effortlessly. Therefore, there’s every reason to consider purchasing it today. To help with its performance, this unit is kitted out with a V-belt transmission, a centrifugal clutch, and a robust Yamaha engine to power it all. It can take care of all manner of branches – from twigs through to substantial branches that are two-and-half-inches in diameter. What’s more, it uses 14 foot-pounds of torque to deliver on this promise. If you’re a farmer, you will also enjoy how portable this wood chipper is. It comes with a trailer kit so you can attach it to your farm trailer, and even comes with gloves, safety glasses, and earplugs as well. As you should always put safety first, this is an exceptional deal on offer from YardBeast. If you’re tired of a messy farm or lifestyle block, there’s every reason to invest in this wood chipper today. 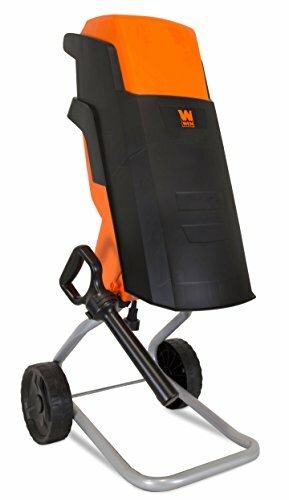 While this Worx electric leaf mulcher and shredder is not a wood chipper, it’s still a convenient outdoor item many homeowners would be happy to own. As the changing of the seasons begins, and your yard becomes covered with leaves, there’s every reason to invest in a leaf shredder. Rather than put up with leaves rotting away and causing havoc in your yard, you can rake them up, then use them as mulch in the garden. While some wood chippers have a leaf shredding component, this leaf shredder is focused only on shredding leaves. With its 13-amp motor, it can mulch 53 gallons of leaves per minute into your choice of debris bags and uses high-quality bladeless systems to do it. What’s more, it has a cutting diameter of 13 inches to ensure it can shred more leaves than most other shredders on the market. When you purchase this leaf mulcher, be prepared to be impressed. 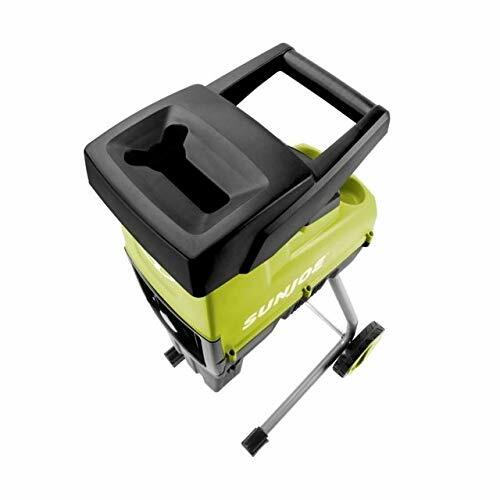 It has a clean motor with a cooling system, it’s easy to turn off and on, and it even comes with 24 cutting lines, a support ring for a bag, and a three-year warranty. 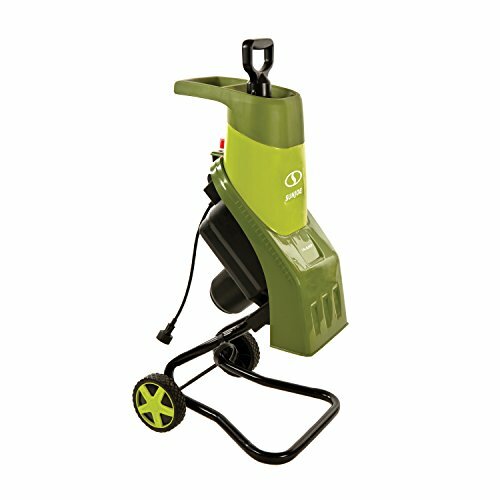 You are sure to find this leaf mulcher ticks all the boxes for your backyard cleaning requirements.